As Australia’s largest telco, Telstra unsurprisingly has many iPhone plans. Telstra is also king for extra perks, often throwing in bonuses like Foxtel subscriptions, Apple Music memberships, data-free music streaming and international calls & texts among other bonuses. Read on to find out what you can expect from the big blue telco when it comes to iPhone plans. Below are the five postpaid plans that Telstra customers can bundle with their choice of iPhone. These plans are available for both standard two-year contracts and Telstra’s phone leasing program; pries don’t include your handset payment costs, but more information on what each ipHone will actually cost in total is available below the table. These are sponsored products. With prices beginning from $109 per month for your plan and phone, Telstra’s iPhone XS plans aren’t the cheapest available – but they do come packed with plenty of extra features. Alongside unlimited national talk and text and decent data allowances, plans may include bonus data, unlimited international calls, unlimited slowed-down ‘Peace of Mind’ data, and a free two-year Foxtel Now subscription. All postpaid iPhone plans from Telstra also feature data-free music streaming from Apple Music, plus a free six-month subscription to the service, and data-free sports streaming from the AFL, NRL, Hyundai A-League, and more. 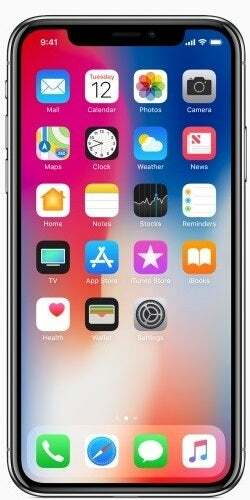 The bigger, pricier new iPhone is available from Telstra on both leasing and buying plans, with prices beginning at $99 per month. Again, this isn’t the cheapest way to get your hands on the iPhone XS Max, but you do get plenty of inclusions from Telstra (plus great coverage nationwide). If you do want a premium plan to go with your premium smartphone, you can enjoy unlimited full-speed data on Telstra’s Ultimate Unlimited plan, which is available from $199 per month for both your plan and phone. 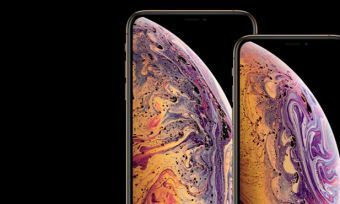 The somewhat more affordable alternative to the iPhone XS, the XR is available to pre-order from October 19, with in-store sales beginning November 1. Telstra customers can choose from buying the phone on a two-year plan, or leasing over the same 24-month period. Telstra has celebrated the iPhone XR launch by adding even more data to selected postpaid plans. Its Medium plan now includes a bonus 10GB (so 20GB per month in total), the Large plan comes with a bonus 20GB (a total of 50GB monthly), and the 60GB Extra Large plan allowance has been doubled to 120GB. If you’re lookign at the 2017 iPhone X, Telstra has come out strong with many plans. Telstra also throws in generous data bonuses on its top-end plans from time to time – some to the tune of an extra 20GB! – plus occasional monthly credits. Telstra ‘Swap’ plans often come with discounts and extra data, provided you hand your phone back at the end of your term. ‘Swap’ plans also give customers the option to upgrade to a new device after 12 months, but you’ll need to hand in your iPhone X and pay a $99 upgrade fee. You won’t find anything under $100 per month here, making for a fairly expensive time. Nevertheless, those wanting a premium smartphone – and premium network – probably already know this. If you feel like you need a bigger screen that isn’t made for ants, the iPhone 8 Plus may be more up your alley. Lease plans are generally cheaper, but if you like to own your phone at the end of the contract, spending a bit extra may be a better move. Apple Music Membership, data-free music streaming, Telstra Air data and extra perks like Foxtel Now subscriptions are available and often included. Prefer to own your phone? A standard two-year plan costs over $100 a month, but Apple fans are probably aware of this. For a premium phone on ‘the network without equal’, the price may be easily justifiable for some. These are likely the cheapest plans you’ll find from Telstra with Apple’s newly-released iPhones. The iPhone 8 is still a premium phone, however, and the best deals usually cost over $90 a month. As usual, lease ‘Swap’ plans are often cheaper, but you have to hand your phone back at the end of your term – or upgrade after a year for $99. Six month Apple Music memberships, with data-free streaming, come standard on most plans. The most expensive plans also include unlimited international calls and texts to all countries. The iPhone 7 may be ‘so 2016’, but it’s still a top choice for those on the hunt for a premium phone at a not-so-premium price. Even the most high-spec models start at under $100 per month, both for your mobile plan and phone. At this price you will have to watch your usage, however, with only 3GB data on board. Value markedly increases from there, with 30GB phone plans starting at less than $120 a month. The iPhone 6 and 6S still command a small but strong following, probably due in part to the phones retaining the 3.5mm headphone jack. The later iterations above lack this in favour of water resistance. Nevertheless, if you’re after an iPhone, but don’t want to shell out the big bucks, then these deals may be what you’re after. Note that only the base storage option of 32GB is available with Telstra – those seeking 64GB or 128GB may have to look elsewhere. Still, with some plans costing under $60 a month, they represent a budget alternative to the big boys featured above. If you yearn for the smaller iPhones of many moons ago, the SE may be what you’re after. It’s 5S-sized, meaning the screen is about 4 inches. Considering the largest iPhones are now over 5 inches in screen size, this makes for a compact phone – the way phones should be, according to some people. Those looking for a smaller phone with modern specs may like the look of the SE, but first consider if it’s even worth it, when the phone can be found outright for as little as about $450. Should I get a Telstra iPhone plan? Telstra is Australia’s largest mobile network and has a comprehensive array of iPhone plans. From the small SE to the premium X, Telstra has you covered. Be prepared to pay for it, however, especially with the latest iPhone 8 and X plans. Many plans cost over $100, while few are found for less than $80 a month with the latest iterations of the iPhone. Telstra includes things like Apple Music, Foxtel and unlimited international calls & texts, and these perks may be worth the high price tag for some. In any case, Telstra is sure to be one of the most popular providers to stock the iPhone – and for good reason too. Telstra is arguably the king for hot phone plans, but to say it’s a cheap iPhone provider may be another question entirely.